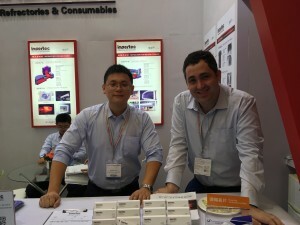 Congratulations to the successful ALUMINIUM CHINA EXHIBITION, which held in Jul 12th – 14th in shanghai. 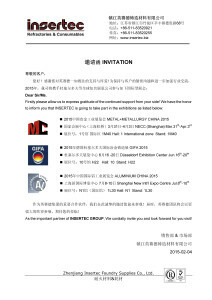 ALUMINIUM CHINA is a quite important promotion event which ZHENGJIANG INSERTEC FOUNDRY takes part every year, and certanly it is also a big and wide-influenced exhibition of the non-ferrous industry. During the three days, everyone plays and indispensablee role. There is no doubt that the success of the exhibition can not take away from the efforts made by whole team!! hope that brings more huge benefits for ZHENJIANG INSERTEC FOUNDRY SUPPLIES- ZIFS. FENAF 2015 is a Conference and exhibition for the foundry industry. It is a bianual fair. 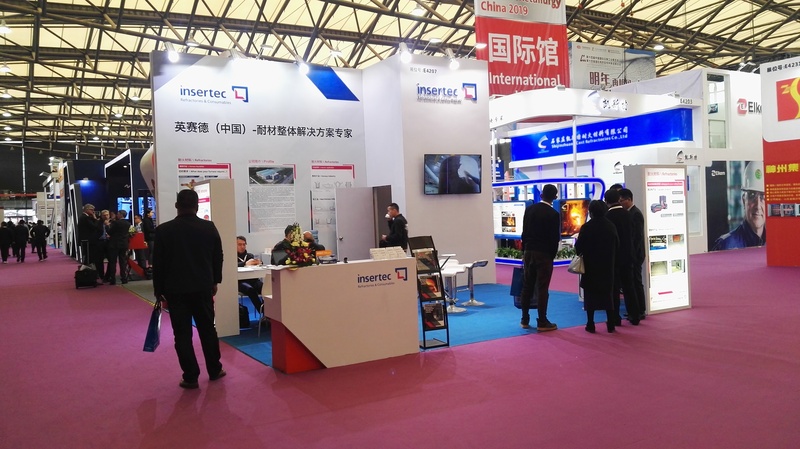 The seventh time that INSERTEC exhibited at this fair (since 2003); but is our first time like INSERTEC REFRACTORY DO Brazil LTDA. The market situation is of general uncertainty. All are waiting for a recovery, but few companies dare to make new investments. There is not a clear tendency in 2015, even though we are forecast to close some projects before year’s end. 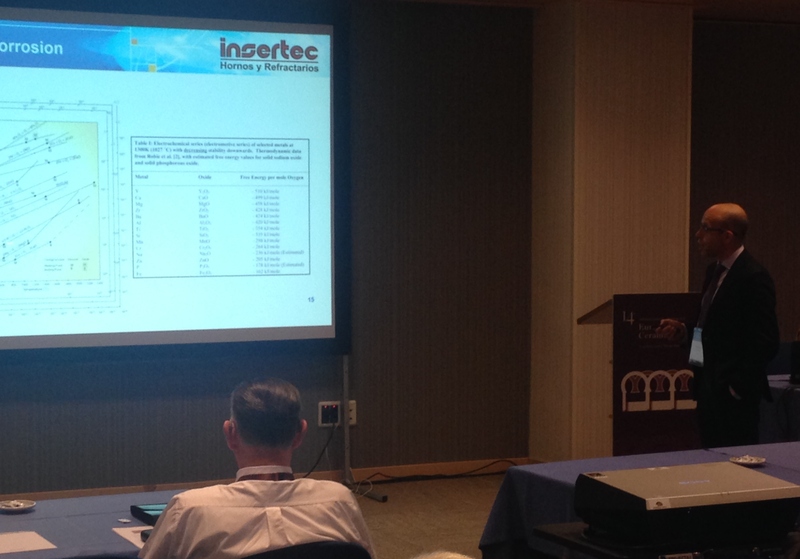 Two members of INSERTEC R&D Team will attend the most important worldwide Congres on refractories, UNITECR (TEchnical Conference on Refractories).Event board is composed by main refractories associations, GRA (Germany), TARJ (japón), ACERS (US & Canadá), ALAFAR (Latin-América), and recently CCS from (China), PRE from (UE) and IRMA from (India). Its celebration every two years takes place in America, Europa and Asia, alternatively. After last congress in Victoria, Canada in 2013, Vienna has been selected as place for current event. From 15th to 18th of September. ZHENJIANG INSERTEC took part in the main metallurgy exhibition organized in P.R. 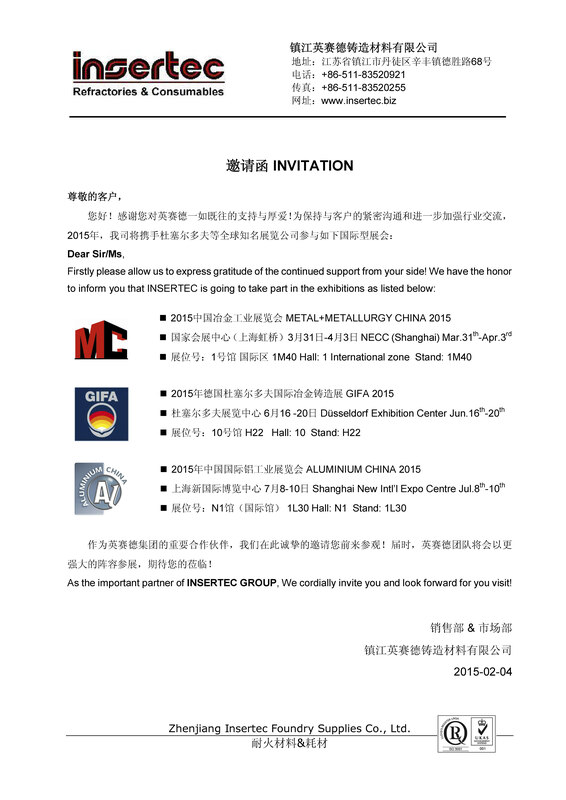 china- METAL CHINA 2015, from 31st March to 3rd of April. – Move location from Beijing to Shangai. – New Venue still under construction. According to IMF, the growth forecast for the world´s economy was 3.3% in 2014. The global growth projection for 2015 is 3,8%. Chinese President Xi Jinping said China´s will maintain strong. China´s groos domestic product growth rate is expected over 7 percent in 2015. According to Oxford, the US economy to do well in 2015 with about 3% growth driven in part, by manufacturing momentum and rising employment, some of which is reaching decade highs. Europe, The oxford Economics predicts growth of a little over 1% in 2015. Oxford Economics sees India as the strongest of the BRIC countries in 2015. Good growth numbers of 5.6% are expected, driven by the election of a pro-business government. The world Steel Association forecasts that global apparent steel use increased by 3.1% to 1527 Mt in 2014 following growth of 3.6% in 2013. In 2015, it is forecast that world steel demand will grow further by 3.3%and will reach 1576 Mt. If we analyze the table detailed below; we see that Asia is the leading producer of steel, only China has a production of 822,7 tons while in 2014 has had a slight descents(de 49,7% in 2013 and during 2014 it was a 49,5% ). The European Union is the second zone in the classification where Germany is the leading producer. In 2014 has a production was 169 M.Ton. This represents an increase of 1.7%; increases in production in Germany and France and falls in Spain and Italy. In short, the global steel demand recovery continues but growth is stabilising at a lower rate with continued volatility and uncertainly leading to a challenging environment for steel companies. Production fell in the CIS, in Ukraine only fell 17%. In India, steel demand was expected to grow by 3.3% to 76.2Mt in 2014, following 3.8% growth in 2013. Despite uncertainties relating to the impact of upcoming elections steel demand is projected to grow by 4.5% in 2015. In North America, crude steel production increased 2%, however in South America shrank 1.4%, since the sharp decline in Brazil, Venezuela and Chile were offset with increases in Argentina, Colombia and Peru. In Central and South America, apparent steel use was projected to grow by 3.4% to 50.9Mt in 2014 down from 4.3% in 2013.This is forecast to slow further to 2.7% in 2015 due to contraction in Argentina and a sharp slowdown in Chile. The figures below are in thousand tonnes. This dates are of 65 countries, they for approximately 98% of total world crude steel production in 2013. Annual total figures include revisions not shown on a monthly basis. 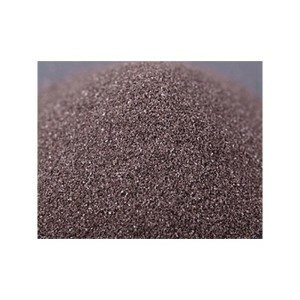 Self-flowing refractory castables have been used in refractory market for more than 20 years. Their capability to reach maximum density without vibration have covered some appliications in which classic consolidation techniques has not easy implementation. Extension of self-flow as general castable configuration have been limited by necessary extra addition of finer raw materials which makes self-flow matrixes more reactive than vibrate equivalents. Recently, RSI have developed a new concept of self-flowing castables with same matrix structure of vibrate materials. Their pure self-compacting behavior links maximum performance with the most friendly installation. 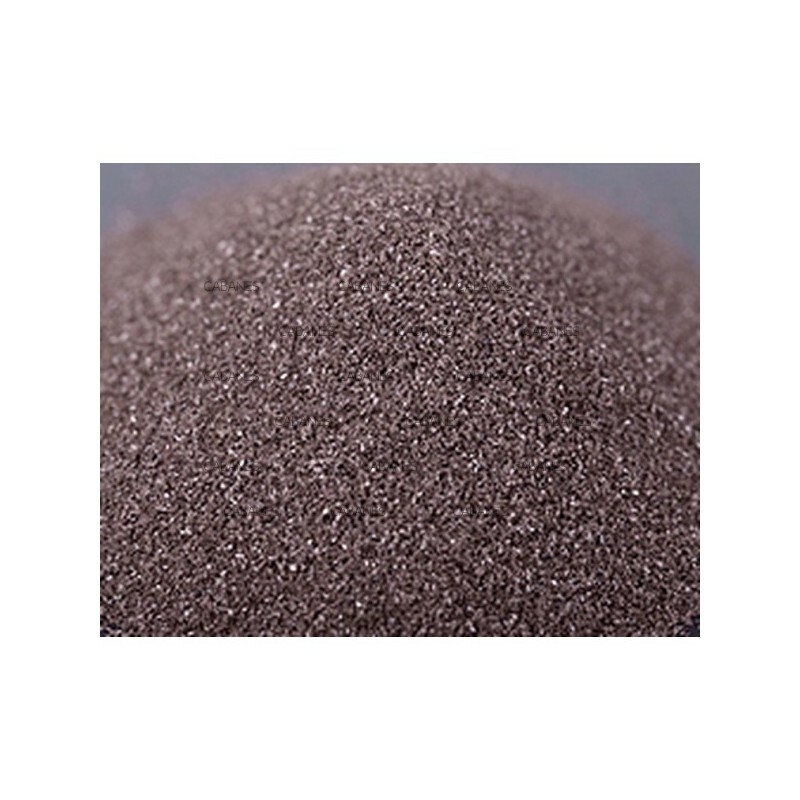 This new family has been named BERELOC and covers form standard high alumina compositions like BERELOC-82 especially developed for CIF coil protection ,BERELOC 60 Z; excellent resistance to chemical attacl by acid slag, for Pressurized Pouring Furnaces and transport ladles in Iron foundries. 7th Edition of METALMADRID., It was 29th and 30th of October. 300 companies were present with the 220 stand, occupied more than 8000 m2. 52% more participation than in the last edition. Mention the celebration of 3 technical conferences: COMPOSITE, MOLD & TRATER. 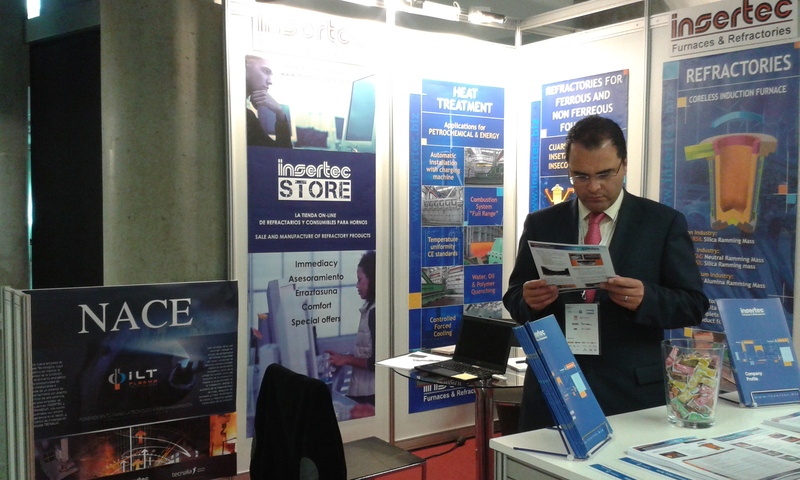 Our colleague Jorge Almeida participated in trater, about heat treatment. ZENJIANG Insertec, took part one year more in ALUMINIUM CHINA Exhibition in Shanghai from 9th to 11th of July. During those three days, some of the main Chinese customers visited the booth as well as other important international companies. 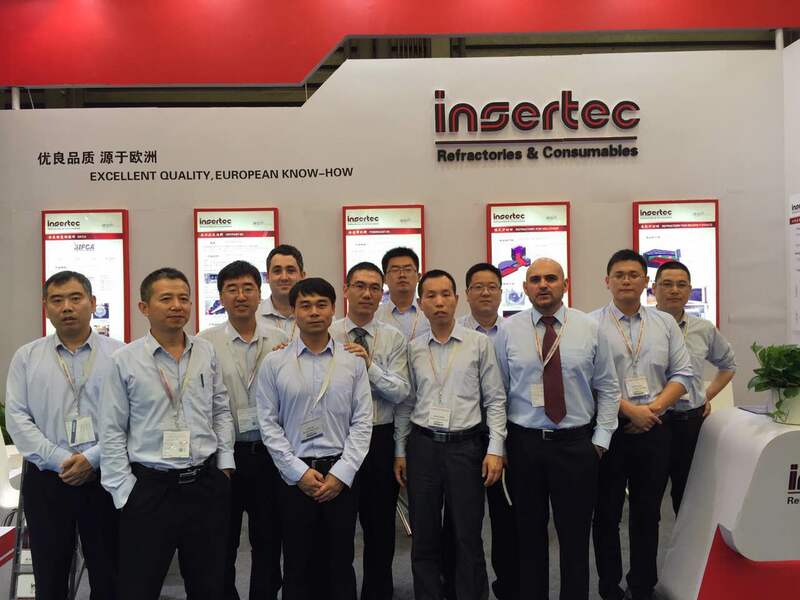 Due to the success with the received, Zhenjiang INSERTEC has already booked the space for the new edition in 2015. WFO President Vinod Kapur spoke of the “systematic sea-change” in the industry and said: “Now is the time to respond in terms of the search for new products and process taking into account sustainnability and the moral obligation to be envirommentally conscious”. Held every two years, the WFC provides essential knowledge and gives participants the opportunity to share experience and network. 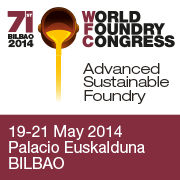 We were participating in what has undoubtedly been the most important event for the world´s foundry in our country. 28th edition of the biennial of machine tool, it has become one of the most important fairs in the sector in Europe. Professionals from 57 countries have been able to check the quality of machines, accesories, components and industrial equipment in the halls. 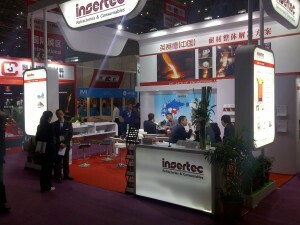 INSERTEC, as the last years, has presented our latest products in the heat treatment sector. The balance has been positive with numerous visits, Customers and potential customers, recovering the good feeelings of the past. Basauri, 2 April 2014. In Europe, the iron foundry sector has an annual turnover above 10,000 million Euros per annum, according to the data of the World Foundry Organization. In this context, ILT Plasma Technologies SL was created; a new technology-based company seeking to improve foundry quality, energy performance and productivity of the facilities through a high-power thermal plasma heating system. This new company is formed by INSERTEC and LORAMENDI, two industrial partners with a large experience in the sector, and the TECNALIA Applied Research Centre. The technology developed by TECNALIA, which has been called PLASMAPOUR®, is a casting unit heating system based on High Power Thermal Plasma technology (HPTP). After 15 years of research, it is one of the main innovations in the iron foundry sector worldwide. The advantages of such technology are the following: it allows to work in casting temperatures that would be impossible using conventional equipment; improved energy performance, both in the casting unit as in the rest of the facility; improved productivity of the facilities, due to an increase in line availability, reduction of rejections and a better panel performance; and improved foundry metallurgical grade. The activity of ILT Plasma Technologies will focus on the manufacturing, adaptation, commercialisation and implementation of plasma facilities in the foundry sector, with an estimated global potential market of 1,600 million Euros. The new company will be located in Basauri (Bizkaia) and foresees an annual turnover of 2.4 million Euros from the fourth year since its creation. You may reach ILT Plasma Technologies on: www.iltplasma.com and info@iltplasma.com. The creation of this new technology-based company, at a time of economic difficulty, proves that the Basque industry is active and committed to the future and the creation of economic activity, showing its commitment to collaboration, innovation and technology. BEAZ, a Public Company belonging to the Economic Development Department of the Bizkaia Provincial Council, participated in its start-up, seeking to contribute to the growth of the economic activity and the creation of jobs. The company was founded in 1973 in Vitoria and became a part of the Mondragon Group. It is a global benchmark in foundry equipment, supplying comprehensive solutions in the field of the manufacturing and assembly of sand cores and vertical moulding lines. Its main markets are Germany, China, USA, Mexico and India and has sales offices and post-sale services in these markets. Its main clients are first-line globalised suppliers from the block and cylinder heads of the car industry, brake discs and safety systems manufactured in iron and aluminium. The average turnover stands at approximately 60 million Euros, of which 90% are exports. It has a staff of 160 people in Vitoria and 60 in its subsidiaries, who have a clear mission of contributing to the technological development of its clients and provide an excellent post-sale service on a global level. 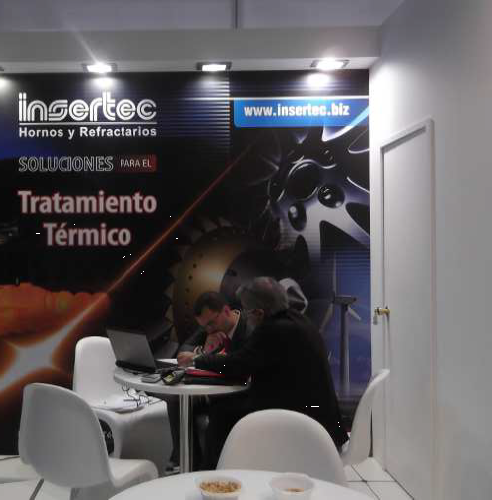 The company was founded in Bilbao in 1980, and is devoted to the supply of Industrial Furnaces and Refractory Products. INSERTEC designs and manufactures solutions in the field of materials engineering and science for metal processing (mainly iron, steel and aluminium): from melting to casting and final thermal treatment. In the ’90s it began its internationalisation process, which resulted in a significant network of subsidiaries (Mexico, Italy, Brazil and China), agents and distributors. The sales from this activity have reached 75% of total sales. TECNALIA Research & Innovation is the first Private Applied Research Centre in Spain and one of the most important centres in Europe; with 1,400 experts, from over 30 different nationalities, focusing on transforming knowledge into GDP to improve people’s quality of life, by creating business opportunities for companies. Inspiring Business is a synthesis of two concepts that go hand in hand: imagining and making it come true. TECNALIA’s differential value. In order to value TECNALIA’S own R&D and favour a comprehensive management of the life-cycle of the innovative technological assets so as to maximise their impact on society and obtain a greater return for commercialisation, TECNALIA VENTURES, S.L., a 100% TECNALIA company with a relevant role in the acceleration of the incubation process of ILT Plasma Technologies, was established in 2013. Chamber Furnaces are provided with one only sliding type front door for batch loading and unloading. Door support structure is also provided with electromechanical or hydraulic driving system, being supplied by request the door tightening system in order to improve the sealing against the heating chamber frame. Pieces to be heat-treated, placed over metallic trays or inside of baskets, are charged into the Furnace by means of a Charging Machine which leaves them upon the existing load supports, made of refractory concrete pre-shaped pieces, or heat-resistant alloy steel, in accordance with process technical requirements. Gas fired open burners operating under different combustion control modes depending on process temperature range, such as, sequential pulsating or combustion air fixed gas regulating modes. Heating elements by means of wire or strip type electric resistances, depending on the total electric power required for process. Tilting Bell type Chamber Furnace capable of revolving around one fixed pivoting axis. Vertical Bell type Chamber Furnace provided with bell lifting system or specially designed bell for being handled by existing bridge crane on site. Travelling Bell type Chamber Furnace provided with a double driven-head bridge crane. INSERTEC, les invita a visitar nuestro stand en GIFA. Presentaremos los nuevos desarrollos en productos y nuestros nuevos proyectos e instalaciones. Entre el 11 y el 14 de marzo se celebró en Sevilla la 2ª edición del curso de Ingeniería de Refractarios organizado por ANFRE (Asociación Nacional de Fabricantes de Refractarios y Servicios Afines). Nuestro Responsable de I+D, Roberto Caballero, actual Presidente de ANFRE, abrió el curso con la ponencia inaugural y con la impartición del primer bloque teórico sobre materiales refractarios. Por parte de INSERTEC, División de Refractarios también asistieron al curso dos Técnicos Comerciales, Eder Álvarez y Ricard Llobet, así como un Ingeniero de Oficina Técnica, Óscar Berezo, recientemente incorporados. Todos ellos valoraron el curso de forma muy positiva, especialmente la visita a las instalaciones de Siderúrgica Sevillana. La automatización ha llegado a ser un objetivo de máxima prioridad para la industria mecánica y metalúrgica, en el desarrollo de procesos modernos de fabricación de piezas, bajo los actuales requerimientos de calidad y trazabilidad de proceso. INSERTEC, ha utilizado su amplia experiencia, y la de sus colaboradores, en instalaciones automatizadas de hornos industriales, para aplicarla directa y eficazmente al sector de tratamiento térmico. Horno de cámara tipo campana abatible sobre eje de pivotaje fijo. Horno de cámara tipo campana elevable mediante sistema de elevación incorporado o puente grúa existente en planta. Horno de cámara tipo campana elevable desplazable mediante pórtico móvil. la feria mantuvo la buena afluencia de otros años , los visitantes principalmente locales, muy pocos visitantes extranjeros, suponemos por el efecto GIFA. 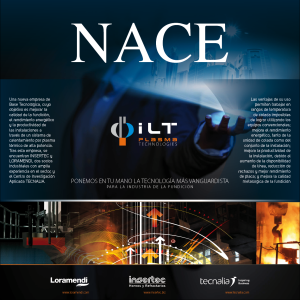 La presencia de expositores al menos en el hall internacional donde estamos fue similar a otros años, si bien empresas punturas del sector como DISA, INDUCTOTHERM or Loramendi….. no han estado presentes. Parece que este año ha sido la última edición en esta localización de Sh-Pudong, y que los organizadores deciden mantenerla en Shanghai ( pero en la gigantesca nueva feria que construyeron hace unos años) en lugar de alternar con Pekin. En conclusión, ha sido una buena feria por lo que estaremos presentes el año que viene en el nuevo recinto. INSERTEC MEXICO, cambia de ubicación. En INSERTEC MEXICO, están en la etapa final de construcción de los nuevos pabellones, que deben de estar terminados a finales de Abril o primeras semanas de Mayo 2019. En las fotografías se puede apreciar los avances en la Construcción , además de que ahí mismo estamos fabricando los Hornos de los proyectos en curso. La superficie del terreno es de 5000 mts2 , la superficie de pabellones es de 4400 más 2 y 700 mts2 de oficinas , estaremos equipados con dos grúas viajeras de 20 ton y cada una con grúa auxiliar de 5 ton. Actualmente parte del personal ya está ubicado en las nuevas instalaciones y el resto nos trasladaremos gradualmente. INSERTEC Mexico, are in the final stage of construction of the new facilities, which should be completed at the end of April or first weeks of may 2019. In the photographs you can see progress in construction, in addition, there we are manufacturing some projects. The ground surface is of 5000 m2, the surface of pavilions is 4400 more 2 and 700 m2 of offices, Currently part of the staff is now located in new facilities and the rest we will be transferred gradually. RENAULT – El Grupo RENAULT ha inaugurado oficialmente su nueva Planta de Valladolid destinada a la fabricación de la última generación de bloques de motor de gasolina de 3 y 4 cilindros. INSERTEC, en el marco de la estrecha colaboración que comenzó con el grupo con el suministro de varios hornos de fusión y tratamiento térmico para la nueva Planta que el grupo instaló en Curitiba, Brasil, en el 2016, ha suministrado también para la nueva Planta de Valladolid tres Torres Fusoras de aluminio y cuatro hornos de tratamiento térmico T5 de solera giratoria, basados en la última generación de este tipo de hornos desarrollada por nuestros socios tecnológicos Japoneses de Sanken Sangyo. El acuerdo de colaboración no termina aquí, pues ya hay nuevas fases de ampliación de la Planta de Valladolid, así como en Bursa, Turquía y mejoras y ampliación de capacidad en la tradicional Planta del Grupo en Cleon, Francia, lo que permitirá a INSERTEC suministrar varios hornos adicionales de fusión y tratamiento térmico. With the idea of strengthen in the aluminium industry Insertec has established Insertec France located in the city of Rochefort. France is one of the European largest aluminium producers having a long tradition melting this metal. In fact, Paul Héroult was the scientist who invented the electrolysis for the production of aluminium in the late 1886. 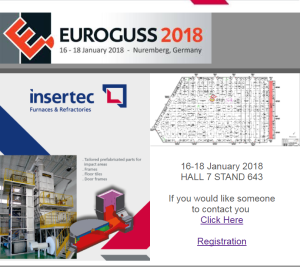 From our warehouse in Rochefort, Insertec France will provide full service (materials, engineering and man power) to line several equipment such us: gas furnaces, induction furnaces, tower melting, reverberatory furnaces, ladle, crucible, runners, etc. 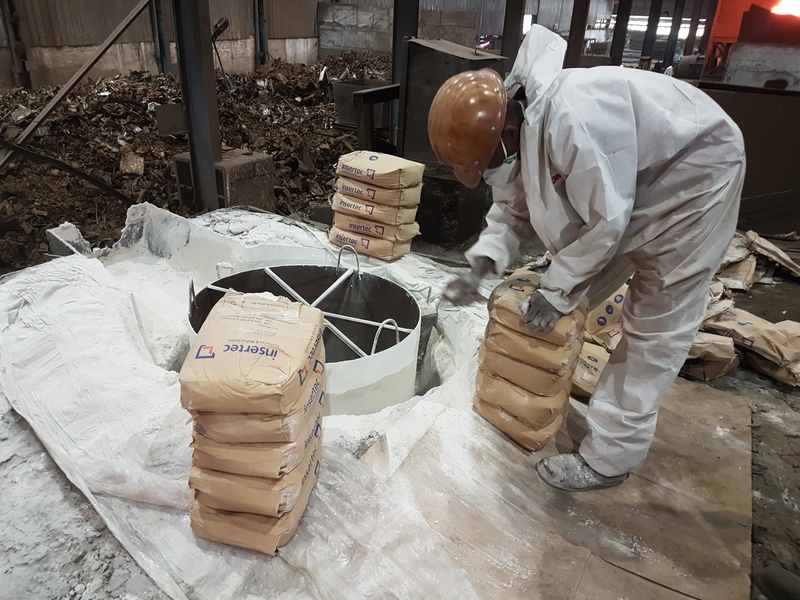 We will provide our complete range of refractory masses and precast shapes to line from small to very big furnaces. Special attention to the use of SIFCA shapes in demanded areas of the furnaces. Contact with us. We will be very pleased to assist you. Actualmente productos de la gama de Insetag (Insetag 87C2 – Instetag 90 XF) están siendo utilizados además de Europa , en países como Turquia , y en varios países del continente Africano en condiciones bastante particulares. Condiciones adversas en cuanto a calidad de chatarra, sistemas de carga manuales etc… dando una respuesta segura y rendimientos óptimos. En los últimos años INSERTEC ha realizado una importante apuesta en investigación para el desarrollo de estos productos con objeto de controlar debidamente las diferentes capas del revestimiento. Una capa sinterizada muy rígida acorde a las necesidades de cada horno y proceso. Manteniendo además una capa semisinterizada y de polvo que proporcionan la seguridad necesaria en esta aplicación. En este entorno actualmente estamos presentes en hornos de hasta 35 Tn fundiendo un abanico importante de metales. Tener conocimiento básico de los materiales a instalar. Disponer de las fichas técnicas y fichas de seguridad e higiene de los productos. Consultar a los proveedores recomendaciones de uso de los mismos. Transmitir la información a los instaladores.Llevar informes con los resultados del horno. La colocación requiere mano experta. Existe una longitud alta de junta entre los mismos. (la junta es el punto débil del revestimiento y se encuentra por toda la superficie de la cuchara). No es necesario un secado específico. No presenta ninguna junta o zona débil en toda la superficie. Mejores resultados que los revestimientos de ladrillos. Este revestimiento es menos sensible al deterioro por escoria. El MAPATCH 90, para el revestimiento en cuchara de trasvase, funciona como material de sacrificio al que se adhiere la escoria y restos de colada que podrían llegar a contaminar las siguientes coladas manteniendo alejado el sustrato refractario de base de la acción y ataque de la escoria que dañan este revestimiento teniendo que reparar la superficie de la cuchara. Secado rápido, no requiere de un control detallado del proceso de secado. Fácil retirada y limpieza del material una vez agotada su vida útil. Capacidad para capturar y retener la escoria siempre que se mantenga caliente. Uno de nuestros proveedores desde hace décadas, visitó nuestras planta de Bilbao; donde pudieron visitar nuestras instalaciones y pudieron participar en distintas presentaciones sobre nuestros procesos de fabricación. Por la tarde visitamos el centro Metalúrgico y Tecnológico AZTERLAN. FUNDIEXPO 2018 es el Congreso y Exposición Internacional de la Fundición en su edición número 21 con sede en Guadalajara, Jalisco. Un evento enfocado en las tendencias mundiales de la industria de la fundición. Durante 3 días de congreso y exposición se presentarán más de 170 expositores y se impartirán más de 47 conferencias, donde expertos de todo el mundo expondrán los últimos avances en tecnología y herramientas para la industria de la fundición. 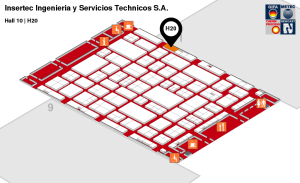 INSERTEC, Participa en este congreso y exposición, con un stand de 36 m2., en el stand 149,159,161,162. 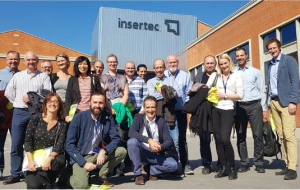 MEMAN es un proyecto subvencionado y desarrollado dentro del paraguas del programa HORIZONT 2020 de la Unión Europea donde 3 clusters europeos-26 empresas (Casting cluster- liderado por Mondragon Corporation y donde colabora Insertec / Surface finishing cluster – liderado por la francesa CETIM /y machining Cluster – liderado por la germano-austriaca EIFFO). Colaboran para elaborar desarrollos dentro del mundo del metal, que mejoren la huella energética de las soluciones que se ofrecen actualmente en el mercado. Con el objetivo de presentar el trabajo realizado hasta la fecha ;se desarrollaron unas jornadas para presentar al Officer designado por Bruselas el avance del proyecto MEMAN, que se encuentra en su último año de desarrollo. Las reuniones comenzaron con una primera visita y reunión en las instalaciones de Loramendi S. Koop., para posteriormente (el segundo día) visitar brevemente las instalaciones de Edertek S. Koop. y Fagor Ederlan S. Koop. y finalmente presentar el demostrador llevado a cabo por Insertec en sus propias instalaciones. Este demostrador permitirá no solo testar materiales de clientes existentes y futuros, permitiendo convertirse en una estupenda herramienta de ventas, y de pruebas de nuevos materiales y desarrollos, sino, además, ser capaces de adaptar en un proceso real (no simulado) mejoras al sistema que hasta la fecha solo éramos capaces de chequear una vez estábamos en las instalaciones del cliente, con la consiguiente ventaja competitiva. Instalación automática para tratamientos de alta calidad. La automatización ha llegado a ser un objetivo de máxima prioridad para la industria mecánica y metalúrgica, en el desarrollo de procesos modernos de fabricación de piezas en grandes series. El tratamiento térmico juega un papel fundamental en la calidad final de estas piezas, siendo necesario por tanto, disponer de unas instalaciones adecuadas para llevarlo a cabo, tendiendo a eliminar los errores humanos y reduciendo los costes de explotación. 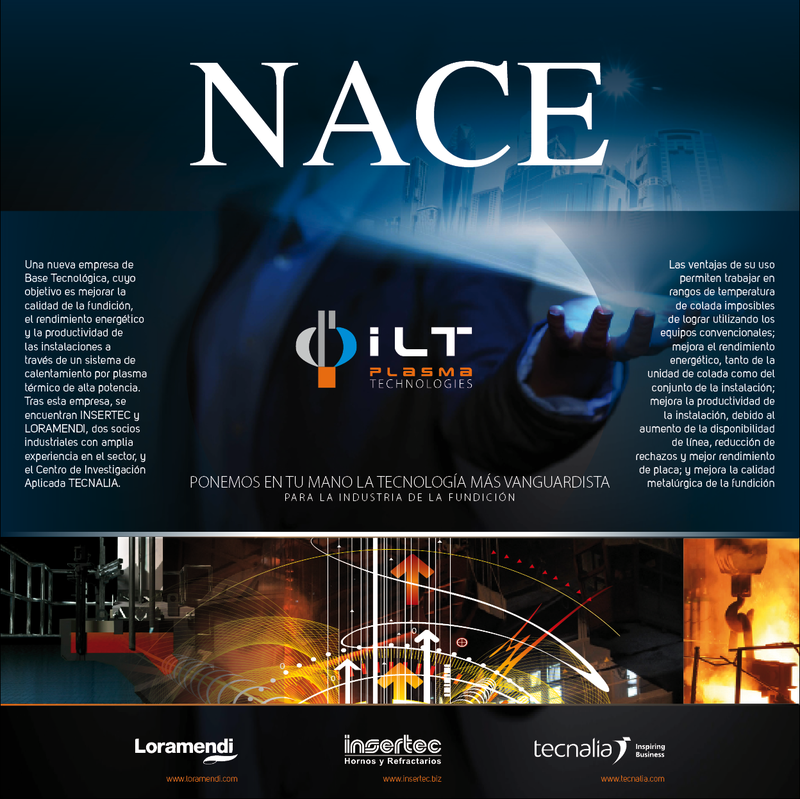 Insertec ha utilizado su amplia experiencia, y la de sus colaboradores, en instalaciones automatizadas de hornos industriales, para aplicarla directa y eficazmente al sector de tratamiento térmico. Todas las etapas del tratamiento, incluyendo el paso a temple o el proceso de enfriamiento en gas, son realizadas bajo condiciones de atmósfera controlada; de esta forma se evita tanto la oxidación como la decarburación de las piezas tratadas debido al contacto con el aire. If you would like someone to contact you click here. El gobierno chino está presionando a todos los sectores industriales a reducir drástica e inmediatamente los actuales niveles de polución. Las exigencias van desde la instalación de filtros y sistemas de monitoreo on line de las emisiones, hasta el cierre preventivo de instalaciones. Para el sector europeo de los refractarios, el problema se centra en dos minerales en los que la dependencia en la importación desde China es total, la magnesita y la bauxita. En un primer paso, las magnesitas refractarias, DBM y FM, así como la bauxita refractaria y el corindón marrón se han visto afectados por la escasez y precios desorbitados. En un segundo paso, el precio de las materias primas derivadas de la alúmina, como la tabular, la calcinada e incluso el cemento, sufrirán incrementos significativos en los precios, dando paso a un periodo de fuerte incertidumbre. El XV Congreso de Tratamientos Térmicos y de Superficie, Tratermat 2017, tiene como objetivo informar sobre las nuevas técnicas disponibles en estas áreas y aumentar el impacto económico del sector industrial. Desde su nacimiento en 1984, Tratermat ha crecido en reconocimiento y participación. Con un carácter bienal, el último encuentro se celebró el año 2015 en Pontevedra. En 2017, Tratermat se presenta en Linares con una apuesta renovada debido al proceso de transformación y digitalización que viven las empresas en su camino hacia la llamada ‘industria 4.0’. En sus cuatro días de duración se tratarán tres líneas principales: la exposición de nuevas tendencias en investigación, el desarrollo de oportunidades y espacios para el diálogo entre centros y universidades, y la utilización de los resultados de la investigación en la industria. En su organización han colaborado entidades como CETEMET, el Ayuntamiento de Linares, la Escuela Politécnica Superior de Linares, perteneciente a la Universidad de Jaén, la Diputación de Jaén y la Caja Rural Jaén. El Rector de la Universidad de Jaén, Juan Gómez, considera que este evento es una magnífica oportunidad tanto para el sector de tratamientos superficiales, como para los estudiantes. La EPSL trabaja muy de cerca con las empresas, algo que hay que aprovechar estrechando mas estas relaciones. Manuel Torralbo, secretario general de Universidades, Investigación y Tecnología de la Junta de Andalucía, afirma que se está trabajando en la linea adecuada, trabajando juntos el centro tecnológico, universidad e industria, una forma de llegar mas lejos: “Esta provincia está muy necesitada de avanzar en un trabajo cualificado como el que ofrece este campus”. Ángel Fraile, presidente del Comité Organizador del congreso y director de CETEMET, ha dado datos de los inscritos, un total de 75 personas, además de los estudiantes y colaboradores: “El objetivo de este congreso es dar difusión de las infraestructuras de este campus, para conseguir nuevas colaboraciones y redes de contactos. Hay varios proyectos específicos en cuanto al área de tratamientos técnicos, ya que hay pocos especialistas formados en este ámbito y son necesarios. Empresas como Curtiss Wright, Insertec o Sicnova participan activamente en este congreso con ponencias y stand de información para los asistentes.